Keep the memories of your ride forever with a GoPro Hero 5 Session. These small action cameras offer great battery life, rugged off-roading abilities, and are perfect to mount on your mountain bike. There are a ton of action cameras on the market now, but the original and considered the best in most circles, is the GoPro. Get all the information you need to find the right GoPro and start recording your trail adventures today. Why Buy a GoPro Hero5 Session? Record Your Rides: The best and most obvious reason to invest in a GoPro is in order to record your trail riding. From showing off to your friends and family, to growing a social media following, recording GoPro footage is a fun way to share. Versatile Mounts: Whether you wear a helmet cam, mount the GoPro Hero 5 Session on your bike handlebars, or attach it in the rear for another angle, the multiple mount options that come with GoP ros make them an attractive choice for mountain bikers. Better Battery Life: In comparison to other models, the GoPro Hero 5 Session offers extended battery life an in some parameters can last as long as two hours of continuous shooting, which is great for longer rides. 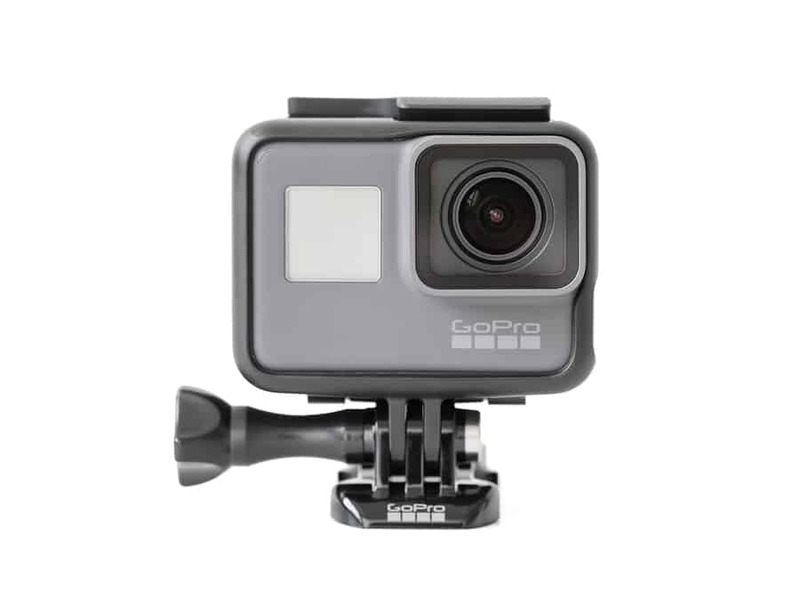 Size: The GoPro sessions are the smallest of all the GoPros and make for easy use. Unlike the larger GoPro 5, the session can easily be mounted on your helmet or even you wrist for added angles and camera views. Image Quality: The Hero 5 Session offers 4k resolution in all recordings, which is the highest standard available today. You can also lower the resolution of the video in order to extend battery life, which is another great perk of having a GoPro. Investing in a GoPro can be plenty of fun, and by choosing the one that works for you, you’ll be even happier with your choice. What is the Right GoPro for you? When it comes down to choosing the right camera for you, a GoPro comparison is always your best bet. When considering multiple options, you should be looking at battery life, pixels, camera angles, footage definition and more. Most GoPros now record in 4k, which is currently the highest standard of definition. You should also consider the size of the memory that comes stock and the need to purchase a micro SD card to accompany it. The more memory you have for your GoPro, the more footage you can record on your rides. Also consider the mount sturdiness of the model you choose. Because you’ll plan on using it while riding bike, it’s important to have a newer model that actually comes with waterproofing. Older GoPros require special cases to prevent damage while using outdoors, which do not make them a great fit. By comparing specifications and considering your needs, you can make the most of your GoPro Hero Session purchase. Be sure to check image quality specs as more often than not this is the biggest point of contention for users as they want the highest quality image for their trail videos. Most folks are always looking for cheap GoPros, and unless you’re buying one used, the odds of finding a cheap GoPro are slim. Your best bet would be to buy an older model GoPro, which may have slightly worse specs, but still provide you with great options for your off-roading needs. You can also consider the purchase of a GoPro Hero 5 Session as an investment, and make the most of it by purchasing the latest model. The GoPro Hero 5 Session offers the best of both worlds by offering quality image resolutions while still remaining small and easily mountable for your biking needs. Shake free camera stabilization – never suffer from shaky footage on your next recording. Based on our review of the GoPro Hero 5 we think it makes for a spectacular addition to your biking needs. From long road treks to the thrilling jumps of a trail, the Hero5 Session is the perfect action camera for adventures!